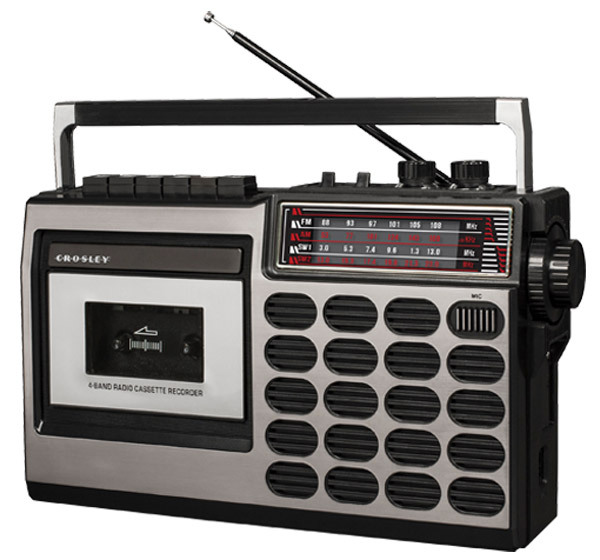 They are known for their record players, but the Crosley radio cassette player range is a new development for the company. And it really is all about the nostalgia. 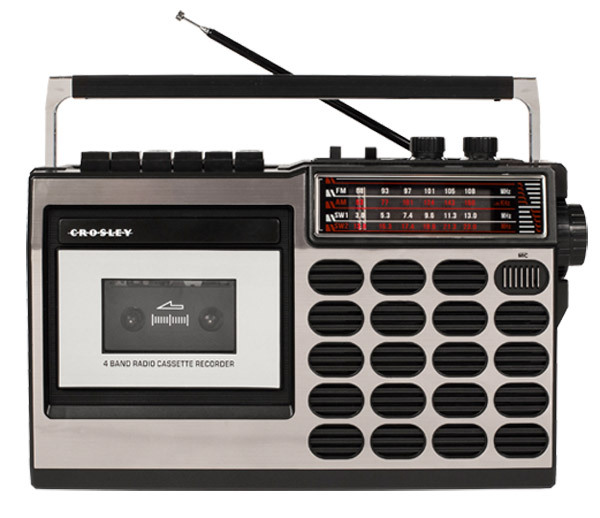 Not only has it made a radio cassette player, but Crosley has gone for a look that replicates the players you might have had in your bedrooms back in the 1980s. Yes, compact radio cassette players that were hugely popular when the cassette was king. They’re not copies of particular units, but they are reminiscent of pretty much anything you would have found in an Argos catalogue back in the day. But with a couple of modern-day additions. It’s quite a shrewd move too. Cassettes are big news in certain (hip) circles. In fact, there’s even a Cassette Store Day running alongside Record Store Day, which you have just missed (I think it runs in October). Alongside that, people still have cassettes. I have boxes full of them in storage at my parents’ house, but no player to play them on. Something like this isn’t exactly going to rival a high-end deck, but it does give them a purpose once more and the sound is probably the sound you might recall from childhood. Two players are available right now, the first being the slightly cheaper CT100, which is at the top of the page. 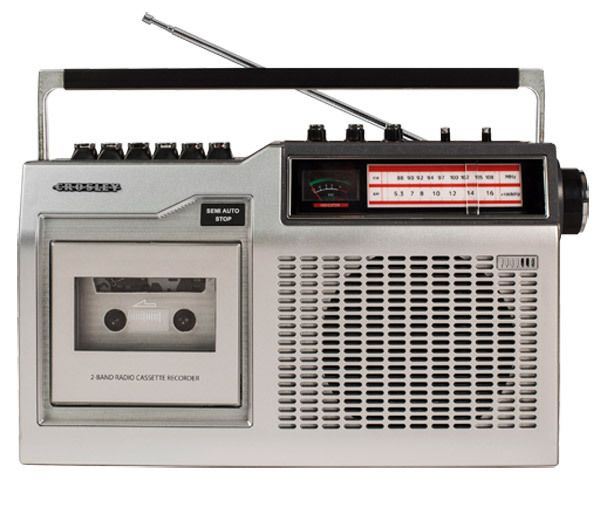 That has tape playback, AM and FM radio (plus SW too if you need it), a built-in microphone, a record option, along with mains and battery power. The modern additions are an SD card reader and the option to play music from a USB drive. 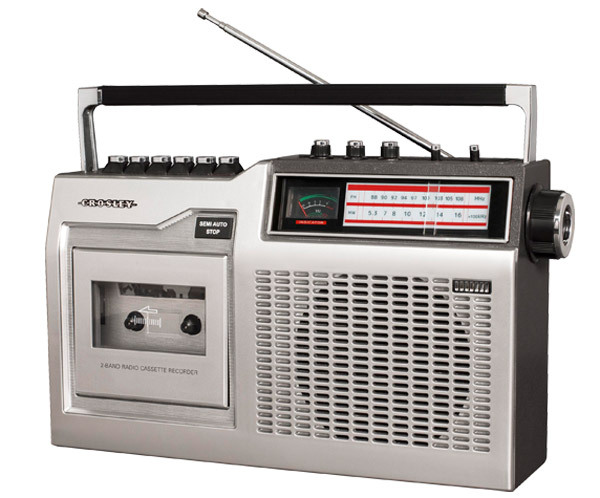 Secondly, the CT 200 also plays tapes, records, has AM/FM radio, treble and bass dials, a VU meter and again, mains and battery power. Now, the hard part. Getting one. These are new designs, so might take time to filter in. If you are in the US, you can buy both at the Crosley Store from $59.95. I expect the UK to get these very soon for similarly budget prices. The two places to check and who tend to get the new designs first are Urban Outfitters and Amazon. If you can’t wait, you can always check out the GPO Retro Brooklyn boombox, which offers more functionality and power, but for more cash.